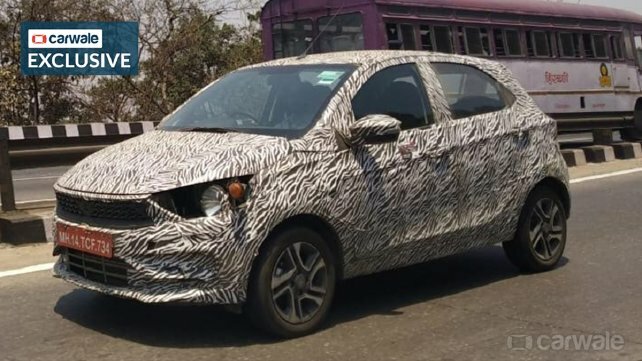 Carwale has come up with a fresh set of spy shots of the new Tata Tiago (facelift) that was spotted testing on an expressway in Maharashtra. The new Tata Tiago (facelift) will feature a revised upper grille and a new bumper, both of which may bring its styling in line with that of the Altroz. The Tata Tiago was launched in April 2016 and became the company's first-ever model created using the IMPACT design language. The refreshed version, on the other hand, seems to have taken design cues from the Tata Altroz, which is the second vehicle to embody the IMPACT 2.0 philosophy after the Tata Harrier. The refreshed model will feature an updated upper front grille and a new bumper. Even the headlamps and the tail lamps are expected to have some tweaks. Inside, the car is expected to receive a new seat upholstery and trim, and improvements to the infotainment systems. The 2020 Tata Tiago (facelift) will be sold with the current model's 1.2-litre Revotron naturally aspirated three-cylinder petrol engine, albeit, in BSVI-compliant format. The current, BS-IV version produces a maximum power of 85 PS at 6,000 rpm and a peak torque of 114 Nm at 3,500 rpm. It's being said that diesel engines will get too expensive for entry-level models with BS-VI upgrade. Hence, currently, it's not for sure if the 1.05-litre Revotorq diesel motor of the current model would be retained. In its current state, this motor offers a maximum of 70 PS and 140 Nm. Both the engines come mated to a 5-speed manual transmission, while the petrol mill can be ordered with a 5-speed automated manual transmission optionally. While the Tiago's 1.2-litre Revotron petrol engine will be updated to meet the BSVI norms, the future of the 1.05-litre Revotorq diesel engine is uncertain at the moment. In January this year, Tata Motors commenced its new car onslaught for the current calendar year with the launch of the Harrier. Next, it intends to launch the Altroz and the Buzzard (Cassini). 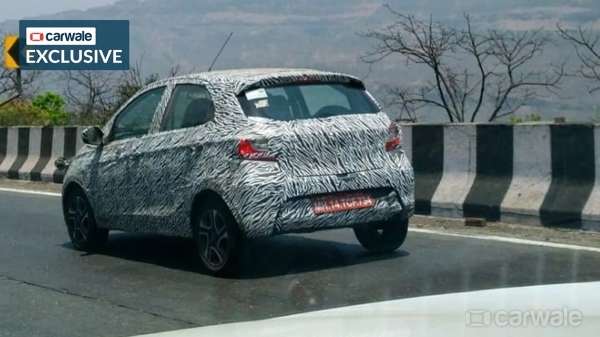 The new Tata Tiago (facelift) is unlikely to arrive before the year-end.